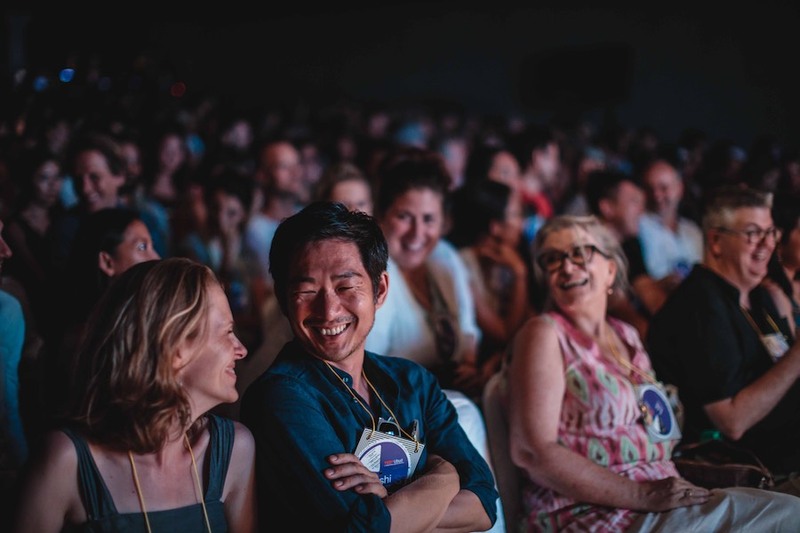 Another year of TEDxUbud has come and gone and it will be a long wait before the almost cult-following can sit enrapt in the pews of inspiration once again. To those not present, this may sound like exaggeration, but TEDxUbud 2018 saw a stage occupied by people bringing serious, positive change to the world for one whole evening. For those who don’t know, TED (Technology, Entertainment, Design) talks have developed to become one of the most watched ‘lecture’ series on YouTube. TEDx events are independently organised TED-like events aimed at bringing ‘ideas worth spreading’ to a local scale. 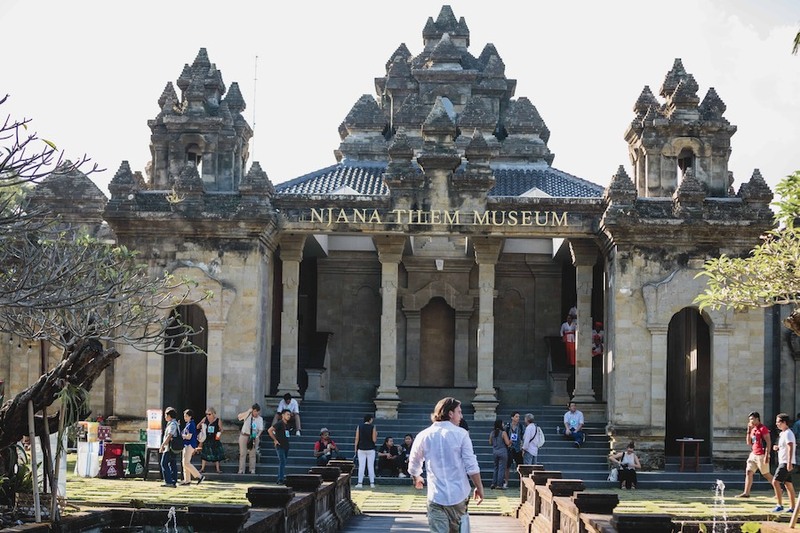 TEDxUbud 2018 was held on the 5th of May at a brand new venue, Njana Tilem Museum found in the carving village of Mas, south of Ubud centre. Whilst many come to TEDxUbud for the speakers, this is only 30% of the event’s experience. The other 70% is immersing yourself into the wonderful art exhibitions, unique stalls, displays and locally-prepared food and drinks that are set up around the venue. The gardens of Njana Tilem Museum proved to be an apt new home, as participants mingled, mixed, ate and played before entering the new 500-seat space where the speakers would present. The speakers, as always, were particularly interesting. Diversity seemed to have unintentionally become a theme throughout the evening, with several speakers openly discussing their struggles and experiences with it. One was Daniel Connell, a visual artist who through captivating charcoal portraits bridged a gap between himself and Sikh communities in India. Upon his return to Australia, where Sikh communities were being marginalised, he used this very same artistic medium to humanise these migrants in the eyes of the local Australian, creating social cohesion through his work. Another speaker, Meiske Wahyu, brought us on a heart-wrenching to heart-warming journey. Living through the traumatic 1998 riots in Indonesia as a Chinese-Indonesian, she grew up in fear of her ‘native’ countrymen. However, through personal experiences, she grew to love her neighbour and sought for other Indonesians to embrace their differences too. This was the birth of her student exchange program Sabang Merauke, where children are fostered by seemingly ‘different’ families (religion, ethnic background, etc) to create empathy and understanding between them. Daniel and Meiske deservedly received standing ovations. Other Indonesian speakers were Angga D. Martha, UN Youth Adviser for Sustainable Development Goals in Indonesia and Lisa Sibagariang, Chef under Nusantara restaurant of the Locavore group. Angga’s talk discussed Indonesia’s youth and how he believes they need to be included in policy making and not carelessly thrown under the umbrella of ‘spoilt millennial’. He reminded us that if anything, this generation needs to be empowered and motivated. Lisa’s talk made history as the first TEDx talk to be given fully in Indonesian, she spoke of her passion in cooking and helped to express the world of flavour that can be found throughout Indonesia. From the field of science, Dr. Kelli Swazey gave an eye-opening talk on the nature of the Bajau ‘sea people’ of Wakatobi Marine National Park. Through her research, she noticed that with nature-dependent communities like the Bajau, the longevity of both culture and biodiversity depend on one another. Despite living in the USA, Dr. Barney Bishop knows something about Komodo dragons that we don’t in Indonesia. He shared his research on how the blood of the Komodo dragon may be a key component in developing to future antibiotics. Brand entrepreneur and creative leader Will Travis gave a talk that spoke directly to ‘us’. Will shared a motivational 18-minute talk reminding all present of the power of support, building confidence and belief – a lesson he had learnt through a life of both hardship and success. Of course, TEDxUbud is not complete without its myriad of unique performances. This year saw an eclectic mix from Korean traditional percussionist Kim So Ra, local singer Ian Joshua Stevenson, Pancer Langit and Prehistoric Soul dance and multimedia performances. Whilst each talk or performance did not directly delve into things ‘Seen and Unseen’, they did reveal something within this theme. 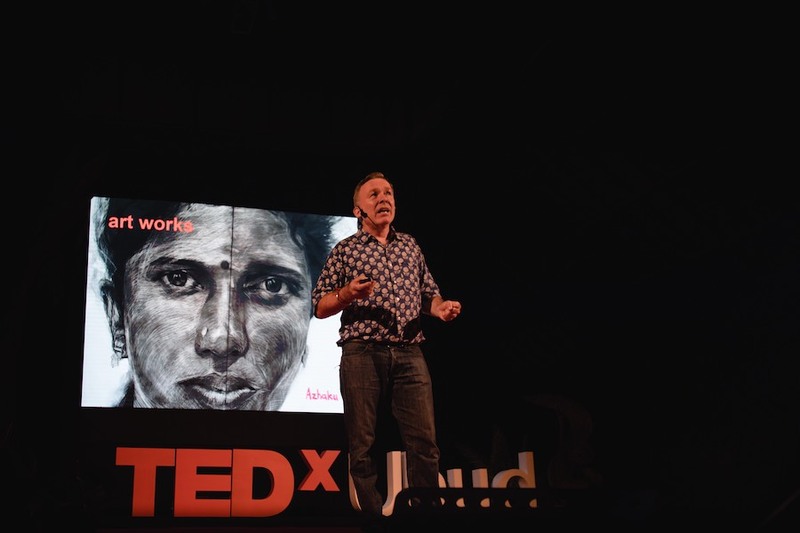 What TEDxUbud 2018 did as a platform was to draw these people out of the shadows and into the light of the stage for us all to see. Their ideas have been brought into our visibility and serve as inspiration and also as reminders that there are people working (unseen) to make positive changes and brighter futures. Furthermore, these talks made visible the potential effects that our work can have at a larger scale. How art can become a social and political tool, how labels can change the way we act and perceive, how the most unassuming human can have such an effect on the environment, how personal connections can breed peace. It is the ability of the TEDx team to handpick such a collection of impressive individuals under one roof for one night that makes this event both memorable and stirring. 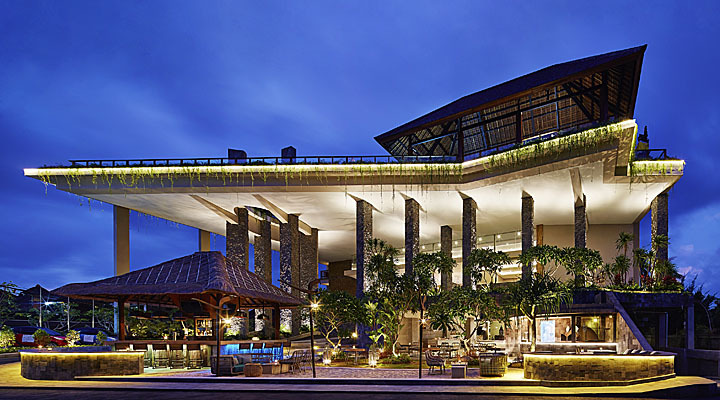 The collective experience this forum provides makes it one of the best annual events on offer in Bali. 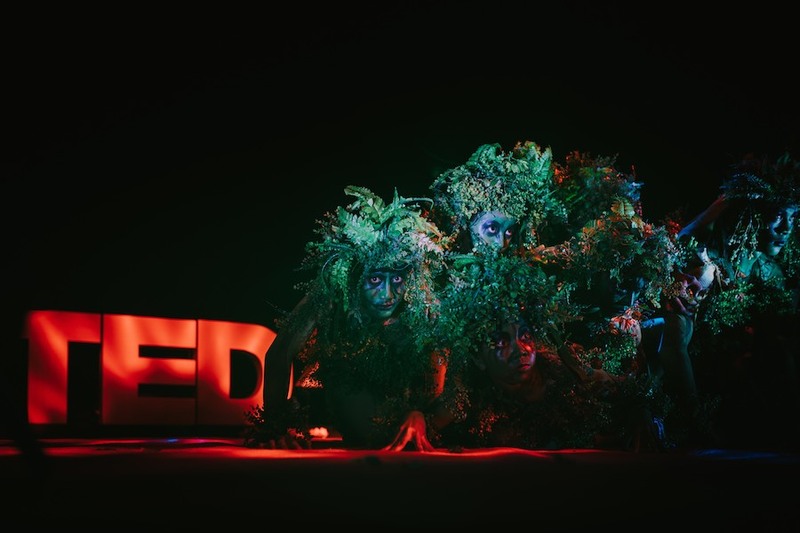 For those who missed out this year, make sure to get on their radar for next year’s event, or keep an eye-out for the official videos of TEDxUbud on the TEDx YouTube channel.